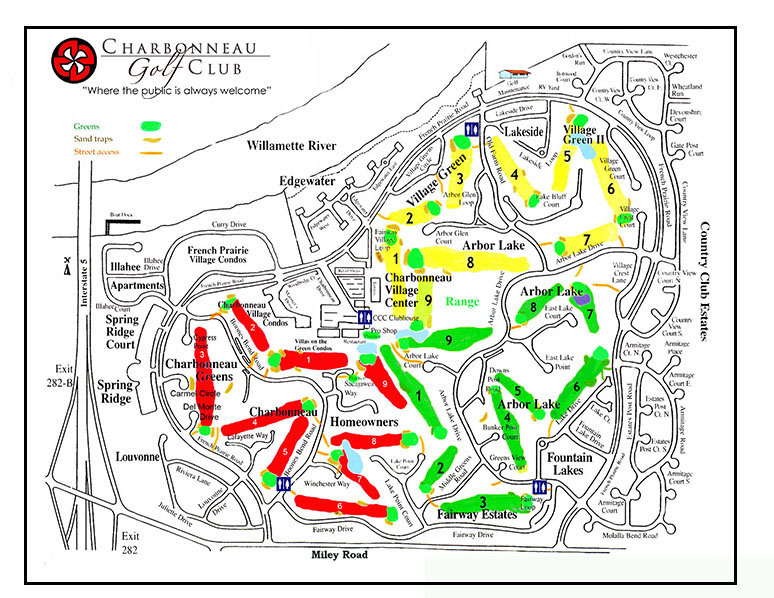 Originally designed and built in 1975 by Ted Robinson Sr., the course at Charbonneau is a fully-maintained 27-hole golf course with fairways that are rolling, generous and lush. You will be able to relax and enjoy nature at its best. Each 9-hole side, named Red, Yellow & Green, consists of four Par 4s and five Par 3s. Traditional to it’s type, the Par 4s are short, some of which are reachable for longer hitters. The Par 3s are notably long and will challenge all. Throughout the entire course, they average out at 180-190 yards from white to blue tees.